A Russian couple has admitted that their son named Boris Kipriyanovich, also known as Boriska is a reincarnated soul from the fourth planet from the Sun and the second-smallest planet in the Solar System, Mars. According to reports, the story of the parents about their son has been confirmed by some known spiritual personalities in the region where the family live. Boriska is said to have been born on January 11, 1996 in the town of Zhirinovsk in Russia’s Volgograd region. According to Boriska’s parents, when Boriska was four years, he used to visit a well-known sacred mountain in the town. It is said Boriska needed to visit the zone regularly to fulfill his needs in energy. But even before he turned four, he had reportedly showed many strange signs to his parents. Boriska is said to have a very good language skills and unique memory. Boriska’s mother told Pravada Report in an interview that her son’s talent and amazing skills were even noticed soon by teachers, after he started attending the local kindergarten. The parents said space activities became the permanent theme of Boriska’s stories, when he was two years old. The parents claimed that Boriska once revealed to them that he [Boriska] used to live on Mars, and that the planet is still inhabited. Boriska said Mars has lost its atmosphere after a mammoth catastrophe, adding that the Martians now live in underground cities. Boriska also claimed he used to pilot a spaceship to Earth for research purposes when he was a Martian. He said this took place in the time of the Lemurian civilization. The Lemurian is the name of a hypothetical lost land believed to be located in the Indian and Pacific Oceans. Although Lemuria is no longer considered a valid scientific hypothesis, it has been adopted by occult writers and some South Asian writers as well. Boriska said the Lemurians died because they stopped developing themselves spiritually, and also broke the unity of their planet. According to Boriska, the Lemurians lived some 70,000 years ago. They were giants, measuring up to 9 metres. Her mother said from a book she bought for Boriska titled “In Search of the City of Gods,” her son looked through the pictures and said that people would not find ancient knowledge under the Great Pyramid of Giza in Egypt. But rather, the knowledge will be found under another pyramid yet to be discovered. Boriska claimed that the human life will change if that pyramid is discovered. “No one has ever taught him. 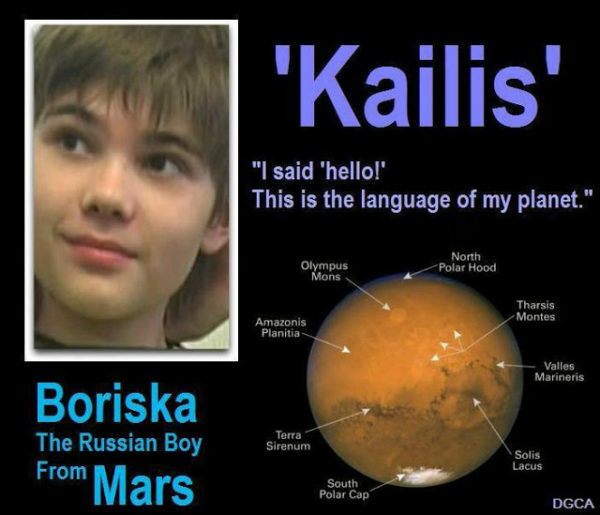 Sometimes he would sit in a lotus position and start telling us detailed facts about Mars, planetary systems, and other civilizations, which really puzzled us,” Boriska’s mother said about her son. Also, when she asked Boriska why man-made spacecraft often crash as it approachs Mars, Boriska revealed that Martians transmit special signals to destroy stations containing harmful radiation. The woman testified that her son has deep knowledge of space and its dimensions, including the controversial Unidentified Flying Objects (UFOs). According to Boriska’s mother, her son is aware of the structure of interplanetary UFOs and mostly talks about them. Boriska reportedly described UFOs structure this way: It has four layers. The upper layer of solid metal accounts for 25%, the second layer of rubber is 30%, the third layer of metal is 30%, and the last layer with magnetic properties is 4%. He claimed the objects are being powered with energy on its magnetic layer, giving them the capacity to fly across the universe. Since Boriska’s story was made public, some people have described it as ridiculous and nonsense. Boriska’s critics believed he is in a state of hallucination, as what he is claiming has no scientific basis. However, on the other hand, others believed all that he has said. Some have written on social media encouraging him never to allow the criticisms disrupt what he wants to accomplish on Earth. This article (Russian Couple Claim Their Son is a Martian, Possesses In-Depth Knowledge on UFOs and the Universe [Video]) is a free and open source. You have permission to republish this article under a Creative Commons license with attribution to the author and AnonHQ.com. but how do you know? doesnt it bother you that whatever this is, its something greater than something else and you just gotta find out the truth? It’s alternative media yo. To be taken with a grain of salt. More for the purposes of waking people up, making people think, and encouraging people to research phenomena that interests them. They are not directly affiliated with Anonymous.. that would rather defeat the purpose of being ANONYMOUS now wouldn’t it? You know good and well why you read these articles. Keep your bitching to your Facebook posts. Why Is It So Hard To Believe That There Is Life On Other planets????? There’s life here right?? Why not on Mars or jupitor or venus, etc..
Take some time to raise your consiousness level. Everything is possible if the mind can conceive it, meaning anything you can imagine can be a possibility experienced through a higher consiousness state. 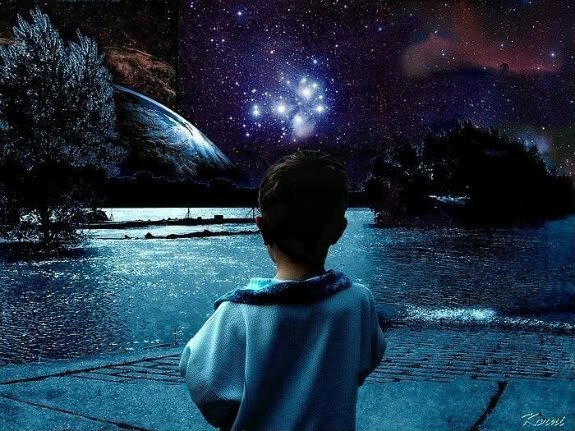 Star seed indigo children can definitely be a possibility, do u not believe in your soul? So why would it not be possible for your soul to reincarnate into another hosting entity?? Just open your mind and realize how incredibly complex, advanced and special you and your soul are, don’t limit your soul to just your time here on earth in your body which is your host here in this dimension and environment.thank you for reading. Someones used the communication stones from stargate, it seems. So Martians have bombs and are just as stupid as we are.